Salesforce Summer ’17 is here! The Seagulls have landed (and hopefully not stolen your chips!). For those eagerly awaiting the Salesforce Summer ’17 release, the preview notes are now live. But what are some of the key takeaways of the Summer ’17 release? What does the Salesforce Summer ’17 release potentially have in store for you? And what are the top 10 stand-out features of the release? So let’s get started and dive on in. And if you haven’t already check out the preview release notes here. Are you ready for the Summer ’17 release? There is no surprise but this is a yet another very Lightning Experience focused release. As per my last post, I mentioned that there will be a continued focus on feature parity with Salesforce Classic. Additionally there seems to be performance improvements too when using Lightning (at least in the Preview Dev instance). Now let’s jump straight into my top 10 features from the Salesforce Summer ’17 release. Salesforce is really making a big push for users to make the switch over to Lightning Experience. As mentioned before it is no real surprise that this release is very Lightning Experience oriented and most of the features are gaining parity with Salesforce Classic. But at least with the Migration Readiness report you can make an educated decision and start planning for a Lightning Experience roll-out. Keyboard shortcuts now available throughout Lightning Experience. Just press CTRL-/ (WIN) or CMD-/ (Mac) to see what is available. You can now setup and view Field History lists in Lightning Experience. This is one fits in the “why wasn’t this there already?” bucket! Another one for all Admins out there. Got a picklist field on an object, but want to change it to a Global Picklist? Worried about migrating the field values? Worry no-more! You can now promote a picklist to a Global Picklist. There are a swag of improvements to Global Search. The stand out for me is the ability to now setup a connected search provider, and then use that to search from within Salesforce. This utilises OpenSearch and allows you to see results from connected external search engines, right from the Salesforce search results page. 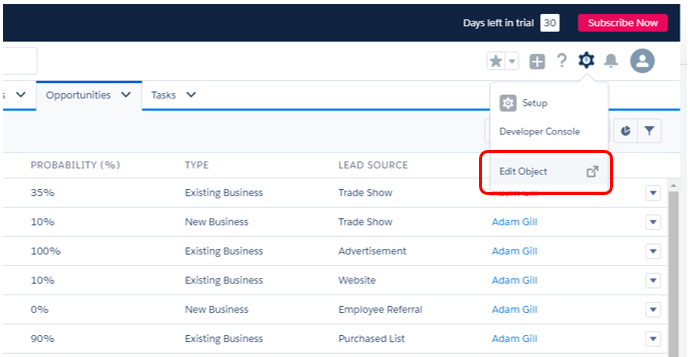 And best of all, this feature is available in Lightning Experience & Classic.So imagine connecting up your Sharepoint or Dropbox and your users can simply search within Salesforce and see the relevant results without having to change systems/websites. Lead conversion process will be a lot easier now in Lightning Experience. Summer ’17 finally brings the ability to have related files and records link to the account/contact/etc that’s created after the lead conversion.The lead conversion process also benefits from the new Account Matching feature which now allows you to type ahead or deal with multiple matches. Console has continued its feature development, with Lightning Sales Console now becoming available! Hello split views, come at me! Jump to ‘Object Setup’ in Lightning from the object in question. This is similar to the Force.com Setup Menu you have in Classic, but using the new Object Manager. Sound like such a little thing, but it will save so much time for Admins. Lightning Experience now gives you big productivity improvements in how your teams will use Activities within Salesforce. First up is an improved timeline view, where you can now show/hide details of an individual task or expand details for all tasks. Secondly the streamlined activity composer will help your users log their activities. I haven’t included this next one in my top 10 as it is only available in USA/Canada currently. But Lightning Voice… Oops, sorry it is now Lightning Dialer, looks slick and offers a new call list functionality. In addition to the send a pre-recorded voicemail feature, this product is shaping up quiet nicely and I wish it would just be available in the UK already! To finish off on, Salesforce Summer ’17 release also appears to be the start of Salesforce addressing the disparity between a number of similar areas, namely Notes & Attachments, Notes, File, Content/Libraries. I highly recommend taking a look at this section of the release notes if you use Content/Libraries, as they are about to go through a divorce in this release. It also appears that Files finally becomes quite useful as part of this release (now with drag and drop :-)).